bruunmunch relaunched the J111 wooden chair, a classic dinner table chair by Poul M. Volther (1923 - 2001), one of the most important Danish designers of the last century, in collaboration with Kvist Industries. The J111 Chair's seat is produced of veneered wood, in order to secure a high degree of comfort. The four-legged frame, and the rest are made of solid wood and make the chair stable and long lasting. The backrest with its curved pieces of wood gives the chair its distinctive and light look. The J111 chair by Poul M. Volther is available made of solid beech wood in black or solid oak in oiled, white oiled, or soaped finish. 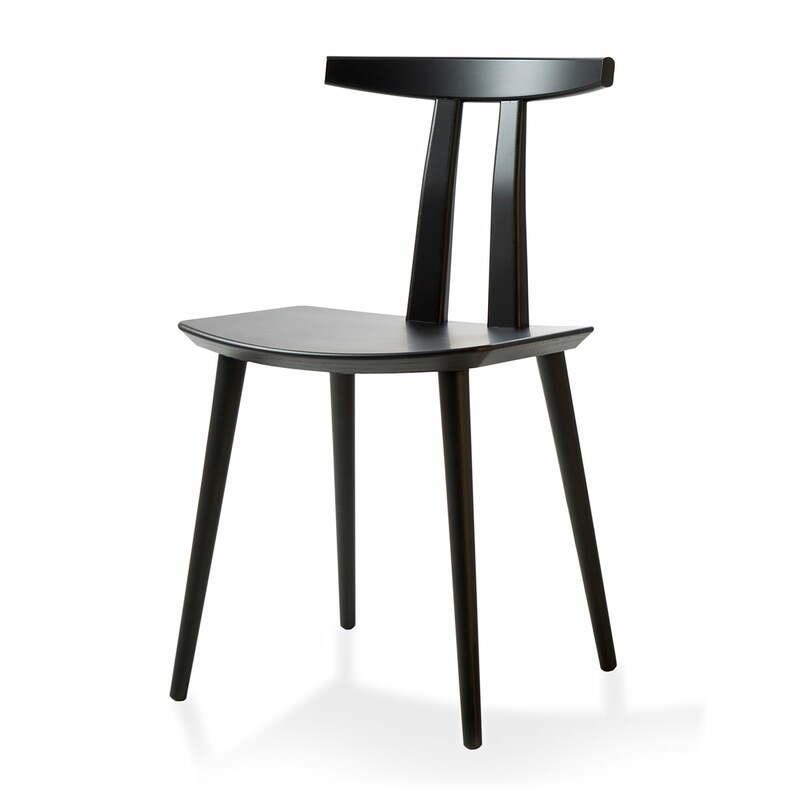 Individual image of the J111 Chair by bruunmunch in black. The four-legged frame, and the rest are made of solid wood and make the chair stable and long lasting. Individual image of the J111 Chair by bruunmunch in oak soaped. The draft to the chair comes from Poul M. Volther, one of Denmark's most important designers. 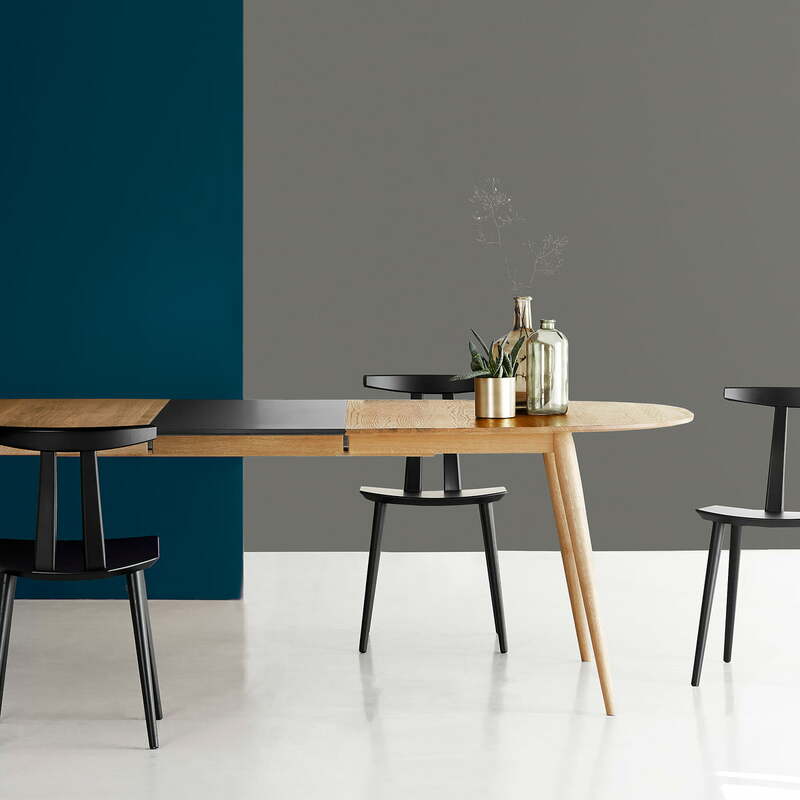 The Play Dinner Lamé Dining Table by the manufacturer bruunmunch and the J111 Chair by Poul M. Volther bring the iconic Danish style of the 50s in the dining area.